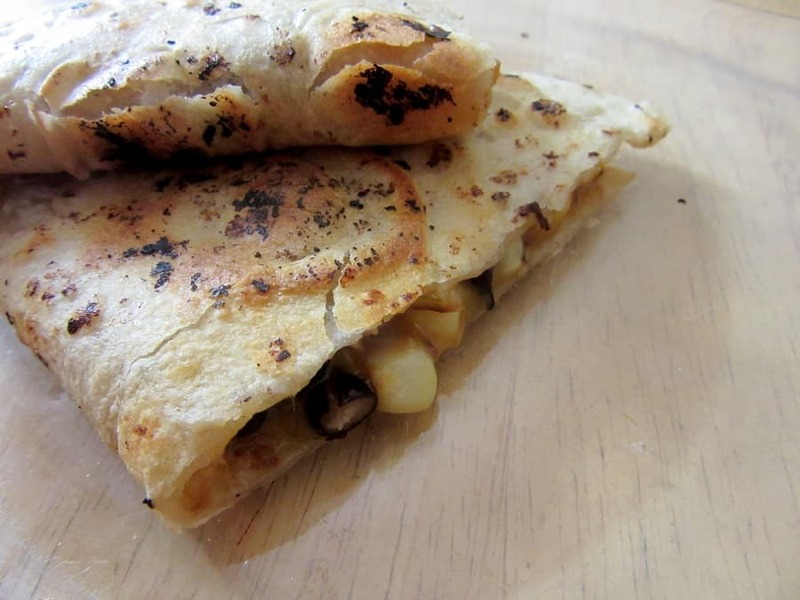 i love plain quesadillas as much as the next person; the timeless combo of melty cheese and toasty carbs? yes, please! but for those days when i want a little something extra, these black bean and corn quesadillas, filled with a saute of corn, onions and beans, are perfect. cheese is great, but i always need more staying power. though i still might succumb to sugar later. anyways, the saute is seasoned with a bit of cumin, meaning that these black bean and corn quesadillas get an almost fajita-like vibe, without the veggies and meat (doesn’t that make it not a fajita?! stay with me, here). i don’t need anything else with them, but salsa, guac, sour cream, etc. partner perfectly with them. even yogurt (adding a creamy note along with a heavier tang than you’d get with sour cream), which i used in the pictures seen here! In a medium pan, heat a bit of oil over medium heat. Add 3/4 of the onion and saute until translucent. Add the remaining onion, garlic, corn and cumin; saute until the corn is tender and no longer tastes starchy. Add the beans and cook just until warmed through. Remove from heat. Toast (in a pan, on a griddle, in a toaster oven, etc) the tortilla on both sides. Add cheese all over the tortilla, and cook until it melts. 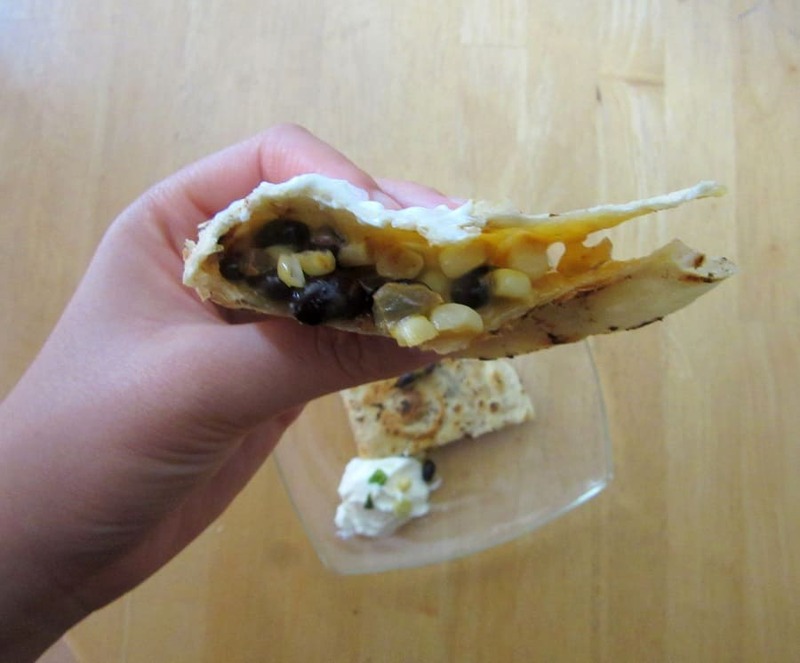 Spoon the black bean and corn mixture onto half of the tortilla, then fold the just cheese part over the filling. I agree with you, I love quesadillas too! This looks amazing! thanks, ala! for some reason, tortillas aren’t one of my pantry staples but they really need to be (will have to fix that asap!). This sounds so, so good. I’m also totally guilty of never being creative with quesadillas, because I like plain ones SO much, but I need to make these!! omgggg I love quesadillas! I am actually not a fan of plain ones. My bf often makes chicken quesadillas and adds some pepperoni slices to it! Super good! although I am not a fan of beans, your recipe looks good too!